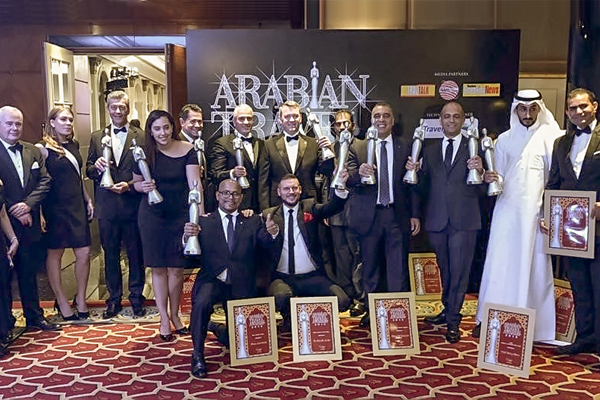 Bab Al Qasr Hotel & Residences in Abu Dhabi was named the Best Luxury and Mice Hotel at the Arabian Travel Awards, held in Dubai last month. The Arabian Travel Awards is dedicated to celebrating excellence within the region’s travel, tourism and hospitality industries. The award-giving association recognises outstanding organisations for their achievements and innovative services to meet the rising trends and evolving demands in the sectors. Bab Al Qasr Hotel & Residences was chosen out of various properties in the Middle East by a unique voting system and a panel of experts made up of highly qualified members of the industry. The hotel stood out as a distinctive destination for its exceptional Arabian hospitality, impeccable amenities and tailored offers for rooms and events.